The Kalkhoff Image 5.B Move has a beautiful frame design, and utilises the new 500Wh Bosch PowerTube. Designed and built in Germany, the Image range represents Kalkhoff’s determination to build the very best in luxury electric bikes using the latest technology. 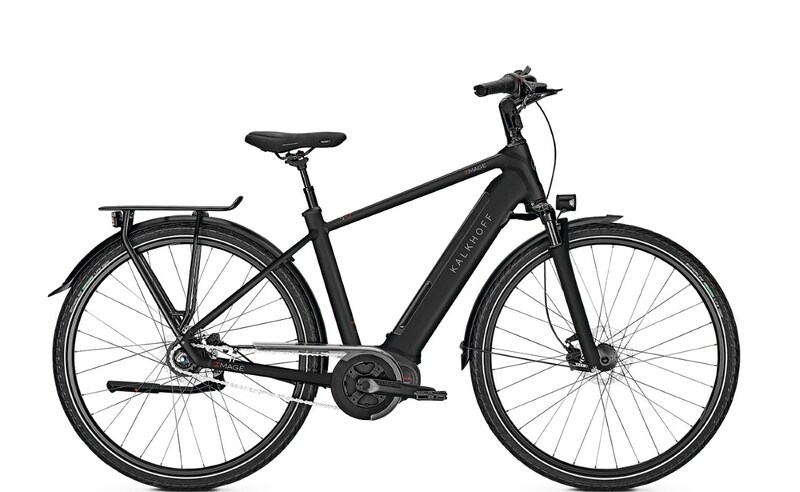 The Image 5.B Move is a fine example of the very best in ebikes. It’s fully integrated, large 500Wh PowerTube is Bosch’s new technology this coming season. The result is sleek lines and great looks. It oozes class, and surpasses expectation. Powered by Bosch’s new, silky smooth Active Plus motor, this bike means business. Powered by a whopping 500Wh battery means extensive range on the Active Plus! It’s a rare combination, not found on many ebikes. Furthermore, this ebike has great hill-climbing ability too. Thanks to a Shimano 8-speed hub, the Image is easy to operate and requires no maintenance. It will easily climb and cruise over any terrain. Equally at home in towns or paths, the hub gears are simple to use. Everything about the Image 5.B Move is designed for ease and luxury. The Bosch Purion display mounted neatly on the handlebar provides clearly, all information required. It also has a handy walk function, so no more pushing the bike under your own steam if you do have to dismount. All rider information is to hand including speed, trip distance, clock and battery level. This clever device also shows expected range and uses an algorithm to generate range based on battery level and riding style. In addition, it has a USB charging socket for smartphones. Further enhancements to the Image 5.B Move include top of the range LCD lighting, both front and rear. Shimano hydraulic disc brakes are responsive and effective. Safe and sound. It has an adjustable handlebar stem providing the perfect fit for any rider. If you’re looking for a long range, comfortable touring bike based on Bosch with precision engineering and very latest technology, then the Image 5.B Move is a great example. Also available in a step-through frame in a variety of colours.